I’ve got a ton of updates for you all regarding free books, audio, and other stuff. Things have been a bit hectic for me lately, so I didn’t get a chance to mention some of them sooner, but to make up for that I’ll do a giveaway at the end of this post. 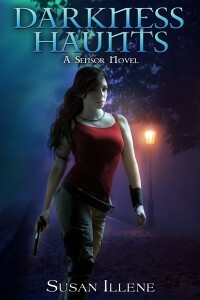 First off, Darkness Haunts (book 1 of the Sensor Series) is currently free on Amazon, B&N, Kobo, and iTunes. This is the first time I’ve ever dropped the price that low since I released it over four years ago. If any of you haven’t tried this series yet, this is your chance to check it out. The price will be going back up to $3.99 in about a week so be sure to grab it while you can. It is whispersynced for the audio listeners out there, too. Speaking of which, Darkness Taunts (book 2 of the Sensor Series) is finally whispersynced as well for anyone who might have skipped grabbing the audio of that one (I’ve heard some people didn’t get it for that reason). Next up is Stalked by Flames. While all of the Dragon’s Breath books are exclusive to Amazon for the moment, and in the Kindle Unlimited program for people to borrow, the first book in the series is also available to Amazon Prime readers for free. This will only last for a few more weeks, so pick up your copy of Stalked by Flames if you haven’t already. And yes, it is whispersynced for the audio listeners who might want to grab that as well. Also, those waiting on Christmas with Dragons to be in audio don’t have much longer to wait. It should be available by the end of May. The narrator and sound engineers are wrapping up production on it now. In case some of you were holding out on picking up Destined for Shadows until it was in Kindle Unlimited, it is in the program now. I’ll keep it there for the time being, but the next installment in the Dark Destiny Series, Destined for Dreams, will be wide on all the retailers for a short period before it goes into KU. The release for that will likely be in late June of this year. Destined for Shadows is also now available in paperback for those who are interested. I don’t have news for audio yet, but I’ll let you know as soon as I do. There will likely be a separate post about what is going on with that. Now for the giveaway! One lucky individual will win a paperback copy of Destined for Shadows, a tote bag, and a fridge magnet. All you have to do to enter is leave a comment below (with a valid email address in the appropriate field) and tell me which of my books you have liked the best so far. This giveaway will run until midnight (CDT) on Sunday, May 7th, 2017. One random person will be chosen as the winner. I will respond to them in the comments section below and send them an email to get their mailing information. This is open to international contestants. Destined for Shadows ebook release! I am happy to announce that Destined for Shadows is now available. This is the first novel in the Dark Destiny Series, which features two of the side characters from the Sensor books. Cori and Bartol both have dark and disturbing pasts that haunt them, but they are explosive when they’re together. Follow their journey as they learn to overcome their obstacles and maybe eventually find love (this is a slow burn romance). I have decided to give them three books, so there’s plenty more to come from them this year. You can also expect to see many of your favorite characters from the Sensor Series to find out how they’re doing. Check out all the details below, including the summary and retailer links. Hope you enjoy! When you’re human in a supernatural world, life can have unexpected twists. Cori has spent the last few years trying to get herself back on track after tragedy struck in the worst possible way. She’s opened a business, made new friends, and even helped save lives. Sure, she doesn’t tell anyone about the dark deeds haunting her, but she does her best to make up for them whenever she can. That includes helping her new neighbor, a half-angel who has just spent a hundred years in Purgatory, adjust to modern life. Bartol is damaged inside and out. The torture he has suffered left him with no desire to interact with the outside world, and so far he’s pushed everyone he knows away. Cori can’t help wanting to do what she can for the traumatized immortal—even if it requires being a little pushy—because she’s drawn to him for reasons she can’t explain. And, anyway, a little crankiness has never been enough to scare her off. But her plans are about to come crashing down when a man from her past returns with vengeance on his mind. He’s not human anymore, and he wants Cori dead. In the end, it might not be her saving Bartol, but the other way around. *I will post updates on the paperback and audio formats as I have them. Those of you who are in Facebook fan group have gotten a couple of snippets already, but today I’m posting the first two chapters of Destined for Shadows. I thought I’d hold off until now so you wouldn’t have long to wait until the rest of the novel came out. Hope you enjoy! Cori used to have a cranky old lady for a neighbor who nagged her incessantly about her numerous faults, but Ms. Callahan had recently been replaced by a cranky immortal with a lack of social skills who rarely made an appearance outside of his cabin. She should have appreciated the change. Truly, she should have been happy that her one and only neighbor for miles in the Alaskan wilderness kept to himself. Except the immortal was half angel—also known as a nephilim—who’d just come from a hundred-year prison sentence in Purgatory. And yeah, it was the same Purgatory from religious texts that most people thought was only a myth. A place in some other plane of existence where souls were tortured for their crimes on Earth. Bartol, the nephilim, needed someone to bring him out of his shell and show him how to live again. Cori believed she was the right woman for the job. Not that she was looking to get into a relationship or anything. Neither of them was in a place where they were ready for that, but it didn’t mean she couldn’t give Bartol the kick-start he needed to get going again, and they could have a little fun along the way. She liked focusing on other people’s problems, rather than her own. Especially since her problems were in the past and not exactly fixable. Cori headed for the kitchen, entering the only part of her two-bedroom cabin she’d remodeled since moving into the place a few years ago. It had black marble counters, dark wood cabinets, and stainless steel appliances. A window was set over the sink so she could view the forest behind her place and a bit of the blue sky above. She loved cooking in the kitchen even if she had to eat alone most of the time. Her regular customers at the tattoo studio would have never guessed she enjoyed preparing meals as much as permanently marking people’s skin with artwork. The lasagna she’d baked sat cooling on the stovetop. The aroma wafted from the dish, overwhelming her senses and making her stomach growl. She grabbed a spatula, cut through the pasta, and scooped out a large chunk to put in a plastic container. Then she took a few slices of the garlic bread she’d also made and put them into a plastic baggy. Bartol would eat at least a couple of decent meals a week if she had anything to say about it. Left to his own devices, he only ate baked potatoes or canned soup. As a man who was born when the Roman Empire was still around, and who’d missed out on the biggest technological changes in modern history, he had a lot of catching up to do if he wanted to survive in this era. After grabbing a pre-made bowl of salad from the fridge as the final piece of the meal, Cori put everything into a plastic bag and left the house. Cool air touched her face as she stepped outside. Though it was mid-September and the days were still long, autumn had already arrived to the Alaskan interior. She had lived in the state her whole life and was used to the weather being colder than most other places. Forty degrees might seem a bit cool to southern folks, but she had no problem wearing jeans and a tank top until it hit below freezing. She carried the food bag as she walked down a narrow dirt road lined with evergreen trees. The rutted path ran for about half a mile until it reached the highway. Bartol’s cabin—a smaller one-bedroom place—wasn’t quite as deep in the woods as hers, but it only took a few minutes to reach. She caught the smoke from the chimney before she saw the actual home. Only during the warmest days of summer had she not seen it going. According to Cori’s friend, Melena, the bowels of Purgatory where Bartol had been imprisoned were freezing cold. The ice set into the bones of whoever stayed there, so that the inhabitants could never truly feel warm. Melena had gotten over her stay fairly quickly, but she’d only been confined there a few months. Bartol, whose stay was longer than most people’s life spans, acted as if anything below seventy degrees was too cold for him and kept his fireplace blazing day and night. The poor guy probably should have moved to Florida, but his friends had talked him into living in Alaska instead. He had a lot of catching up to do in the modern world, and at least here he could ease into it a little slower. Cori skipped up the wooden steps to his front porch and knocked on the door. Curses and grunts came from inside. A minute later, the door flew open and an annoyed man with golden eyes filled the opening. Cori couldn’t help dropping her gaze to his bare chest where he’d filled out over the past few months—mostly thanks to her cooking. A healthy nephilim tended to be large and strong due to the angelic half of their DNA, but years of wasting away in Purgatory had left Bartol unnaturally lean. He’d grown to a healthier weight recently, and his muscles were more defined now. Black sweatpants covered his long legs, and he had a pair of thick socks on his feet. For all that he complained about the cold, he didn’t like wearing shirts for some reason. Cori didn’t mind that little quirk at all. And the game resumed with him pretending a complete lack of interest in her food, but she wasn’t fooled. The containers always appeared on her porch the next morning empty and freshly washed. He liked her cooking, but he’d never admit it. “Because most of my recipes were designed to feed a family.” She didn’t dare admit she’d had a family once and that was how she’d picked up her love of cooking. It wasn’t something she ever wanted to discuss, not even with her closest friends. Cori swallowed. She had a knack for pretending not to notice the burn scars on the left side of his face. If she ignored that half, he was stunningly beautiful, but if she stared at the part where a guardian from Purgatory had burned Bartol from his hairline down to his chin—only leaving the area around his eye intact—then his skin bordered on grotesque. Everything from next to his nose to just before his ear appeared to have melted, begun to heal, and then got locked in place by some sort of magical spell. That was the story she’d been told by others, anyway, since Bartol would never talk about it. Nephilim could normally recover from any injury, but what happened to him was an exception to the rule. His wounds couldn’t be fixed, and he would have to live with the scars for the rest of his life. He didn’t even have the glamour capabilities some of his kind had to cover it up. At best, he could make himself invisible, but then no one would notice him at all. It was kind of sad since she had a feeling there was so much more to him that he kept hidden away. I hope everyone’s new year has started out well so far. Last year was a tough one for me in more ways than one, but I have high hopes for 2017. It’s fresh and shiny, and I’ve got a strong book release schedule lined up. For the first half of the year, I will be focusing on the Sensor Series spin-offs. Since I have multiple books planned, I decided the novels featuring side characters would fall under a different series title. They will be in the “Dark Destiny Series” and the first two novels will feature Cori and Bartol as the main characters and narrators. I will release the first book, Destined for Shadows, on March 25th and the second in early June. I’ve found the models for the covers, who happen to be husband and wife and do a lot of commercial photography work together already. I like this because the chemistry will already be there between them, and they’ve got a look that fits Cori and Bartol well. We’ll be doing the photo shoot on February 6th. Very excited to see how the images turn out. It probably won’t be until the end of February before the cover for book one is ready, but I’ll reveal it as soon as it is. For those curious about Destined for Shadows, and not wanting to wait for a sneak peek, I do have a 450 word snippet up in my Facebook fan group. All you need to do is join to check it out. There are regular updates there for where I’m at in writing, future plans, giveaways, and monthly book club discussions where readers can discuss what else they’re reading aside from my novels. There are also chances to win ARCs ahead of release dates. Be sure to join if you’re interested. For the second half of 2017, I will be going back to the Dragon’s Breath Series. The tentative release date for Captured in Flames (book 5) is late August. I also hope to release the sixth novel (yet to be titled) by late November or early December. 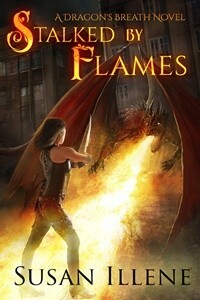 As for audio, those of you waiting for Forged by Flames can get your copy on February 14th. Yes, it happened to land on Valentine’s Day, but at least it’s an easy date to remember. I can’t say anything yet on Christmas with Dragons. I’m hoping to work something out on that soon for audio, and I’ll let you know once I have more news. Feel free to ask any questions if you have them and wishing all of you a happy 2017! Christmas with Dragons is now available! I’m excited to announce that the fourth installment of the Dragon’s Breath Series, Christmas with Dragons, is now available on Amazon and Barnes & Noble. Thanks to everyone for being patient as I worked to get it ready. Though the novel is a little shorter than the others in the series, and it has a holiday theme, it does progress the story line with Bailey, Aidan, and friends. This is not a book you want to miss! Check out all the details below, including the summary and retailer links. I hope all of my readers have happy holidays and a wonderful New Year! Dragon slayer Bailey Monzac and her shifter lover Aidan are about to have their first holiday season together. They’d rather ignore the rest of the world this Christmas, but trouble is headed their way. Murderous dragons are on the loose, and there’s also the shifter mating festival Bailey and Aidan are obligated to attend. And on top of that? Her long-lost father is coming for a visit. She doesn’t know much about him, but she does know he’s a slayer who strikes fear in the hearts of dragons everywhere. There’s no way he’s going to approve of his daughter shacking up with one of the beasts—even one that is half human. The presents may be under the tree, but yuletide cheer isn’t on the calendar for Bailey and Aidan. *For Kobo readers, they have shut down their operations until the end of December so I am not able to get the book on there until then. For iTunes readers, they have also shut down for the holidays, but they won’t be back up and running until January 7th. As soon as I am able, I will upload Christmas with Dragons to these retailers and update this post with links. Thank you for your patience.